Updated 9/15/18 with the current exchange rates – First, let’s just get our income out of the way. My husband is a pensionado or a retiree. His income comes from social security disability because of a brain injury in 2001. I don’t have much of an income. My blog and photography are mostly for enjoyment although it would be nice if one day it became more. 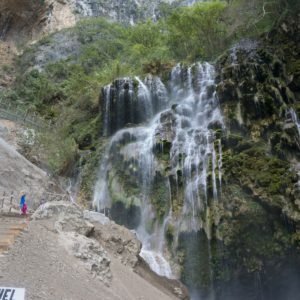 So how does a family of six live in Mexico on $2000 a month? Read on. Please share this post and help me continue my photography and writing. Gracias! What is The Cost-of-Living for Mexico in 2018? The Mexican peso is low right now and that makes our American dollar go far. When we moved here in October 2013 it was 1 dollar to 12.50 pesos. 9/15/18 it is 1 dollar to 18.95 pesos. The exchange rate fluctuates a little every day and certain things, like presidential elections, cause it to rise and fall a bit more dramatically. This is our current monthly budget for a family of six who live in Mexico. Prices are listed in both pesos and dollars, (dollars are rounded to the nearest dollar). We rent a five bedroom, four and a half bath home with a living room, dining room, kitchen, laundry room, play room, small garden, and two car garage in a simple neighborhood. Here are pictures of our home. 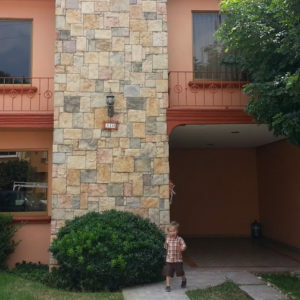 It could rent for at least 10000 pesos a month but we got a really nice landlord and a great deal. Auto includes fuel and a monthly cleaning for our GMC Denali. It is a gas hog but we love it and it fits our entire family with room to spare. Cleaning only costs 120 pesos, ($6). Wal-Mart is for all household necessities outside of groceries. Including underwear and shoes. We have a Sam’s Club membership, (yes, we have a Sam’s in South Mexico), and I buy things in bulk there, like toilet paper. Our utilities include water, electric, gas, Internet, and cell phone expenses. All of these costs are far less than in the US. We don’t have plans with our phones. We buy monthly packages with minutes and data. The water and electric bills come every two months. Right now we are paying about 3300 pesos, ($174), every two months. This is way too high because we lost our government subsidy and now we will have to fight to get it back :-( If you are under a certain amount the Mexican government automatically picks up part of your bill. Losing that government subsidy last year stinks. Our electric bill includes a large screen TV, washer, refrigerator, microwave, three laptops plus, lights, two coffee machines, garage door, etc… You get the idea. Read more about Mexico’s electric bill here. My cleaning lady comes once a week. We have a big house and we have a big family. I wish I could hire her to come twice a week but right now we are spending that money elsewhere. She charges 250 pesos, ($13), every time and spends about five or six hours cleaning. I love having a cleaning lady. You might think we should pay her more but that is the standard here and we treat her very well in other ways, for example, I am always giving her clothes and household items we don’t use or need. We go to the gym three times a week. For two adults it costs 1200 pesos, ($63). I think the cash, allowance, and charity items are self-explanatory. 400 for charity does not include tips. Tips are a big deal in Mexico and we want to help others so tip money usually comes out of our cash. We get a couple massage bi-weekly for 250 pesos each, ($13 each). It helps tremendously with our back and neck pain from scoliosis, auto accidents, and all that great stuff. Fun is for eating out, date night, or family time. For example, we went to the fair in Morelia last week and spent 1000 pesos plus some for the day. Medical is for doctor’s visits and medication. Some of Brad’s medicine for problems due to his brain injury are a little expensive without insurance. But still not as expensive as the US and totally worth it. Brad has Medicaid in the US because of his disability and because of our low US income the kids and I qualify for free Texas health care, thus we don’t have health insurance expenses. We pay for Mexican car insurance on a yearly basis but forgive me… I can’t remember the cost! All I know is that it is a fraction of the cost of US car insurance. We homeschool all our children using online programs. You could homeschool them yourself and use free programs. It wouldn’t cost you hardly anything but we prefer to pay for their programs. For four children, including one in high school getting her US diploma, we pay about $132 each month for their schooling. That would be an additional 2500 pesos. I should note there are several things on here that really aren’t necessary if you are on a tighter budget. You could exclude the maid, the gym, the massage, and tighten your budget for rent, groceries, and auto. It would be very possible. When I tell some of our Mexican friends that our rent is 6000 pesos they are surprised. We have a nice home and prefer it that way but you can live simpler. It is possible. Many, many Mexican families with four kids live nothing like we do because they don’t have a choice. I am thankful for what we have! We don’t live a substandard life, that’s for sure. Besides our home, we have toys, electronics, and a big screen TV. We have pets, bikes, and an old but well-maintained truck/suburban. I have a cleaning lady and we get regular massages,(as previously noted), the kids aren’t lacking, we eat well, and we have extra income after the costs above. Right now our extra income is going to our credit card to pay off a balance that seems neverending due to life and unforeseen events… but at least we are paying it off, slowly but surely! There are some things we don’t have. Things that we were accustomed to in the US. We have one vehicle unless you count Brad’s moped, which he doesn’t use much. We don’t have a dryer. We hang-dry our laundry, rain or shine. We don’t have air-conditioning or a furnace. The climate is very mild here and we don’t need them. I cut the boys hair myself. I started that in the US and just continued after our move to Mexico. We don’t have a lot of furniture and we could use a few new things but I have to be patient. We have the important things. We also buy many used items, including furniture and clothing. The markets here are fabulous for recycled name-brand clothing and Facebook has many groups where you can find clean and well-kept furniture. So we spend money in some places and not in other places and it all balances out. How Do You Budget and Stick with It? Never give up and exercise self-control. But of course, something always seems to come up, unforeseen events like I mentioned above. For example, we need to renew our kid’s passports this June and it will cost us about $500, (USD), for all four kids. We use the envelope system which I have written about before. We are paid once a month, I get the money we need out of the ATM, and we put it in our envelopes for the month. Each envelope is labeled with an item listed above. I mentioned we have extra income although I won’t say how much… gotta keep some things confidential. But it’s enough for unforeseen events and our credit card bill. We cut the credit card up but it will be several more months before it’s paid off. When that happens I really want to start a travel fund and an emergency fund. I wish we had started this years ago. Not really a smart move on our part. We had savings when we moved here but that was gone a long time ago due to overspending and life. 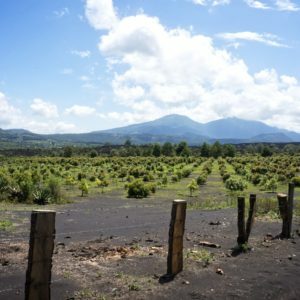 You Can Live in Mexico Too! If our family can live in Mexico, you can too if you have the income. Our cost-of-living fluctuates with the peso but whether it’s $2091 a month or $3168 a month it is definitely cheaper than living in the US with the same house and lifestyle! We are fortunate to have a guaranteed income with Brad’s disability. I say guaranteed but you never know when that could stop and we could end up back in the States. I have no idea what we would do with Brad’s health. I guess I would become a wedding photographer again! Anyway, back on topic, for as long as Brad has his SSDI we will be spending our time in Mexico where the cost-of-living is cheaper than the US. It just makes sense for our family. Hi Tina, I’m super curious how you cover any medical expenses that come up? This is a topic fresh on my mind because our family is actually preparing to move to Peru. Thanks for sharing! Savings or credit card or if possible, travel home to Kentucky where we have health insurance. Crazy, I know! For an example, I had kidney stones in January of this year. They HURT and this comes from a mom who had three babies without drugs! A few hours in the ER, two IVs with meds, multiple blood and urine tests, and a bag full of medicine to take home all cost under 100 dollars. We paid for this out-of-pocket. Hope this helps a bit! This is fascinating, Tina! I want to be an expat in my next life! Thanks for the peek into yours. De nada! Glad you enjoyed it. Thanks for commenting! Great post! I don’t have any plans to move to Mexico, but I’d love to travel there, possibly even for an extended summer trip. My three kids go to a Spanish immersion preschool. I’d like to take them to a place where they can practice the language. In which part of Mexico do you live? Any Zika concerns? I have seen posters warning about Zika but I do not know of anyone who has come in contact with it. I haven’t even heard of any stories about a friend’s friend’s cousin. That doesn’t mean it hasn’t happened. We definitely have mosquitoes! Hi, I just went through your writing and even though you mention that you don’t live bad in México, you don’t have all the things that you used to have back in the States including medic aid. 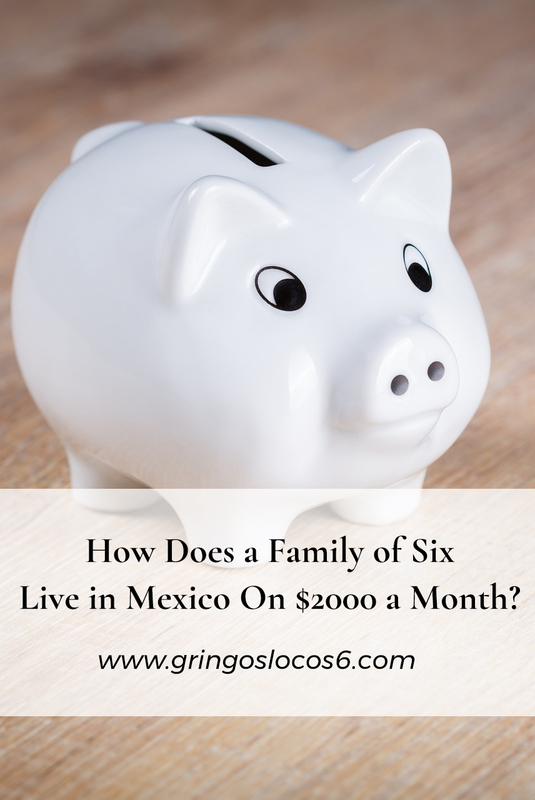 With your current family income, which doesn’t meet all the expectations, how do you feel about a family of six living in México with the average wage of $8,000.00 MEX PESOS per month? I sincerely hope you get the time to write something as nice as you have, for someone with your maids income. It’s important that those who live in Mexico share with tourist, visitors & new immigrants this knowledge!! Sad. Unfortunately, injustice is not only in Mexico but in many countries around the world. I can’t change the world very easily but I feel I am doing my part by sharing the good news from the Bible. I believe there will be a time without poverty from reading Psalms 72:16 and Isaiah 65:21,22. This hope is for everyone. It doesn’t matter what color our skin is or how much money we make. I share this hope in Mexico as I did in the US. There are millions of us looking forward to this hope all over the world. Thank you for your article suggestion although I have learned with time, it is best to keep my blog positive. Wondering if it would be possibe to retire on $1,000/month for a single 51 year old woman who is very low maintenance? Yes, it is very possible, depending on area and life style. Since you are single, feel free to join my fb support group for singles who need advice and could use some supoprt. I have a lot of information on different areas, along with volunteer mentors. what you share really great and helpful for me! Hospital Civil de Uruapan near the Parque National. Been twice last year, once with kidney stones and it cost less than $100 US. Second time for stitches and an x-ray for my son. This was cheap too. I really like it but I don’t know about Crowns Disease. One of our good Mexican friends recommended this one. We have several here and some are pricier than others. Guanajuato is a lovely city! I really enjoyed our visit there and hope to return. I know there are expats in that area but not sure how many. Morelia is not small in my mind. It has about a million in the city area. Statistics may not back that up but trust me… we lived there for over a year. It’s beautiful but very busy! Lots of protesting and traffic. As far as expats they are here in Uruapan but they are hard to find. We are very fortunate in that we have a worldwide brotherhood as Jehovah’s Witnesses and we can find friends wherever we move. We moved to Uruapan to help our local English Bible congregation and found friends immediately. This is amazing! Thank you for sharing. I wonder how much it varies between places/locations in Mexico. This was super helpful– we are considering an international school in torreon and we have practice with living on a small budget from Morocco. Sounds similar to how we shop and live here now. I am more concerned with finding a community and being a stay at home first time mom in a new country is very intimidating! Is there a need in the English speaking congregation there? How much of a language barrier is there? I went to Santa Elena Belize in January with my daughter who was doing need greater work for three months. Just curios how it is there compared to Belize. 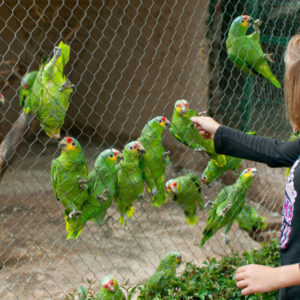 We are considering taking our family of six to Mexico this next winter to give them an experience. We are thinking that Mexico might be easier then Belize because of Belize immigration. We are considering Tulum Mexico because we may have a contact there . But we haven’t completely decided yet. Just exploring options. I’ve enjoyed reading your blog. Thank you for the information. We are considering driving into Mexico. Do you feel that it is safe ? Yes. We have driven through Laredo border and 14 hours into Mexico several times, back and forth. We never had any safety issues. Just be wise and stick to the cuotas or toll roads for your first experience. Just out of curiosity do you know any of these people? Dave Zimmerman, Bill and Megan Draeger, Fred and Margeret Noland? They are a few of the brothers and sisters that we got to know in Santa Elena congregation. I don’t! We probably met but I don’t remember any names :-( I didn’t even have a chance to get phone numbers. I wish I did! Your rent is very affordable for that size home…It’s great! I want to become an expat in two years time. I’ll move with my two little dogs to Jalisco or to Morelia, Chapala or Patzcuaro…,donde viven los gringos loquitos (aunque yo soy mexicano de nacimiento). Great read! We have 5 kids, 4 now living with us and we are considering moving to Mexico eventually in the next 3-4 years. I’m curious though, don’t you long to live by the beach? For us personally, we couldn’t live too far from the beach. But then again, we love the mountains. Any suggestions as to where would be cheap like where you live, but closer to the water? You do well on 2000. I have a small ranch house, no maid, and no massages and I spend more than that in the US. We did too when we lived in Kentucky. We had a small home, no maid, only one massage each month, (for me because my husband was sweet), and no gym membership. Our mortgage alone was over $900 a month! Loved the article. I have dreamed of being an expat in Austrailia or Belize. You are living my life. I love it. Speaking as an English ex-pat in Italy, there is such a lot to get used to when you make a big life decision like this (and that only moving in Europe!). You do so well Tina. We got hit badly with the exchange rate because of BREXIT but luckily our income covered it – just not so much for the luxury stuff these days! …and that is my biggest fear Dorothy. Getting there and not having enough to live on or something changes and what was a good plan is no longer such a good plan. So much to consider. That stinks! But it’s not surprising. Glad your income covered it. It is always good to have a bit extra in case of changing economy! I too enjoyed your blog, especially because it relates to Morelia which is where I am hoping to retire in a few years. I’m wondering if you can tell me a little bit more about the area. I’m interested in knowing about the weather, the type of insects that are there, the availability and stability of the internet, etc., etc. Thank you. The hardest thing to get accustomed too? Hmmm… I don’t know exactly. Maybe having to wait and be patient. Life is definitely slower here but in most ways that is a good thing. It can be annoying sometimes though, like when you call the plumber and he says he will be there soon… and he shows up in a day or two! As for your questions, there are lots of helpful Facebook groups for that. I started one and then turned it over to another expat in Mexico. Here is the link: https://www.facebook.com/groups/life.in.mexico.move.to.mexico/ Hope this helps you :-) Have a great week!